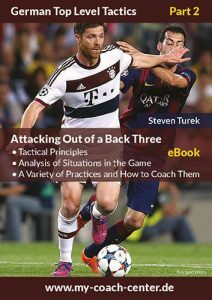 Steven Turek and Peter Schreiner made a series of eBooks, to give you unique insides into the tactical aspects of german soccer. 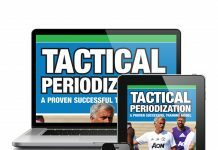 Every single issue deals with a particular tactical topic, such as counterpressing, attacking strategies and atttacking with the long ball. 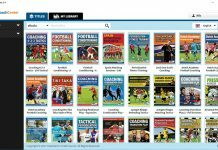 All our eBooks can be downloaded via the CoachCenter and are available immediately. If you want to learn more about attacking strategies in the 4-3-3 this issue is just right for you. First by learning basic principles about building up, how to stay in possession and entering the final third. Then these principles will be applied into concrete game situations against a 4-4-2 formation. 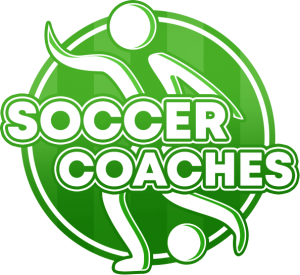 The final part gives you more than enough drills to directly apply the principles or game solutions to your soccer training. Like all our issues, this eBook includes perfect graphics explaining each drill and exercise, created with easy Sports-Graphics. More Info about this eBook! The back three formation is now very common in modern soccer. Teams use it to easier develop their build up and ensure a good recovery if the ball is lost. This issue provides all you need to know about the back three. Including, how to properly build it, when to use it, what it means for all the other players and against what kind formations it is most effective. You will learn the most crucial principles as well as concrete game solutions – which can be applied directly to your team! The last part gives you a variation of drills that will further ensure your success with the back three! What to do when a team is pressing you high with even numbers? Playing the long ball can be a solution. This eBook gives you inside into principles and game solutions that you can use by playing a long ball. You will learn that playing with the long ball is a strategy like every other and has to be planned and executed to perfection if it should be beneficial to your team! Like in the other issues you find fundamental principles, game solutions and drills to develop your play with the long ball! Who hasn’t heard anything about counterpressing i.e. the art of regaining possession after the ball is lost? Every great team in recent history had great mechanism on how to use counterpressing. This issue gives you insides on how great teams over the last years (like FC Barcelona or FC Liverpool) used counterpressing to further develop their playing style. You will learn all about the small details that will make the difference to if your team regains the ball or not. 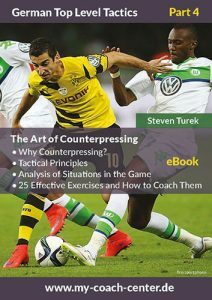 Also, you will get the knowledge on how, when and why to use counterpressing to make your team better. This issue comes with all the principles, game solutions and drills you need! The success of FC Barcelona forced teams to more and more defend much deeper. They put their formation back into their own half and even implemented a back five to further ensure safety. These strategies of a ‘low block formation’ got more common in soccer overall. Time to find some concrete solutions against these ideas! 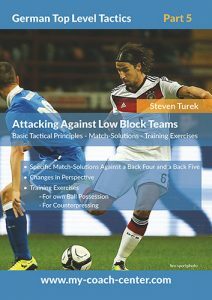 This issue with nearly 100 pages will give you all you need to know about attacking against low block teams. 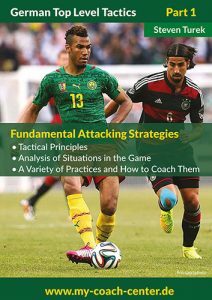 In great detail the book explains which principles can be used (like the odd short passes, freeing up in the final third), how game solutions (against a back four and against a back five – and what is the difference) can be applied and which drills help you getting your team on track. Become a master on how to attack against a low block team! 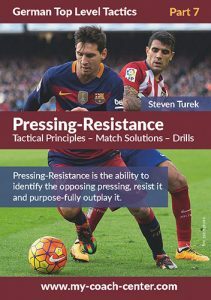 “The quality to successful recognize, identify and overplay the opponents pressing” Steven Turek. By pressing a team you always risk being overplayed, in this issue you learn exactly how to do it. We give you various pressing strategies and concrete principles and solutions on how to outplay your opponent both individually and as a team. For example, you learn about solutions on the wing as well as in the center. Also, you will learn how to deal with closed goal kicks. Learn how to use the opponents pressing to your advantage! 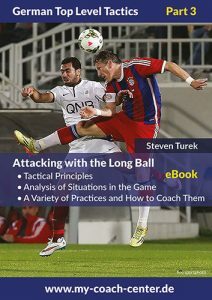 All eBooks about German Top Level Tactics are now available for download via the CoachCenter. 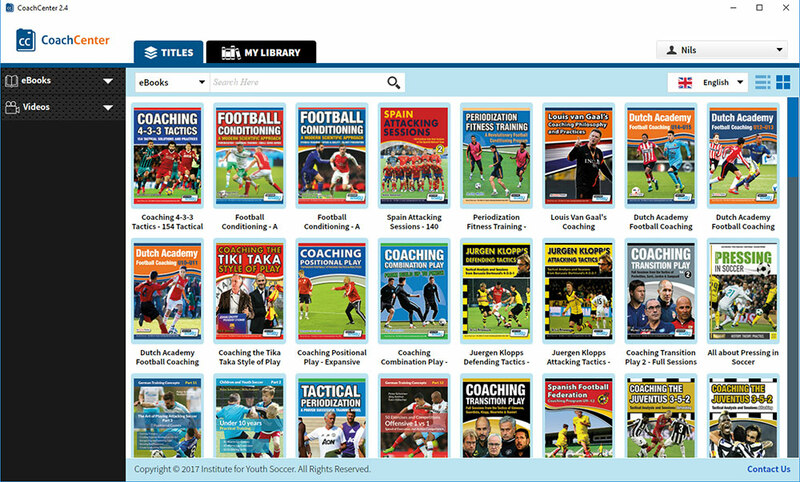 The CoachCenter is an easy way for coaches to access coaching eBooks, coaching seminars and videos online. You can find out more about the CoachCenter here!